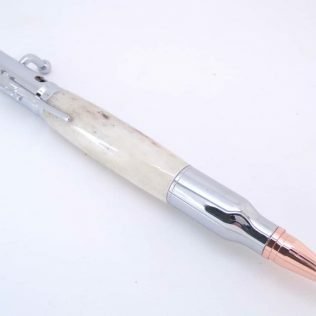 An urban camouflage bolt action bullet pen handcrafted in my own UK workshops using a camouflage design on a wood-turning lathe using traditional techniques and tools. 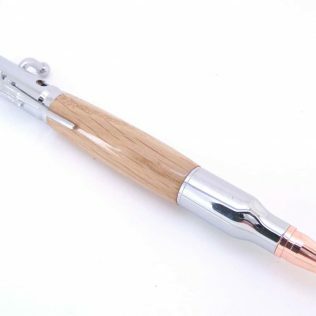 The pen styled upon a bullet and has a high-quality chrome plated trim with a copper plated tip. 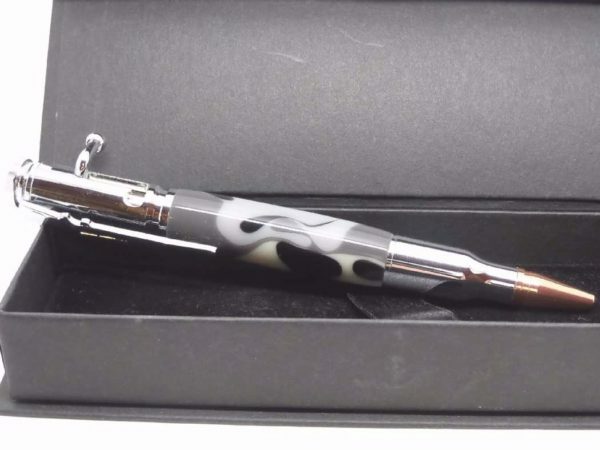 The ballpoint advanced by operating the pens bolt action. 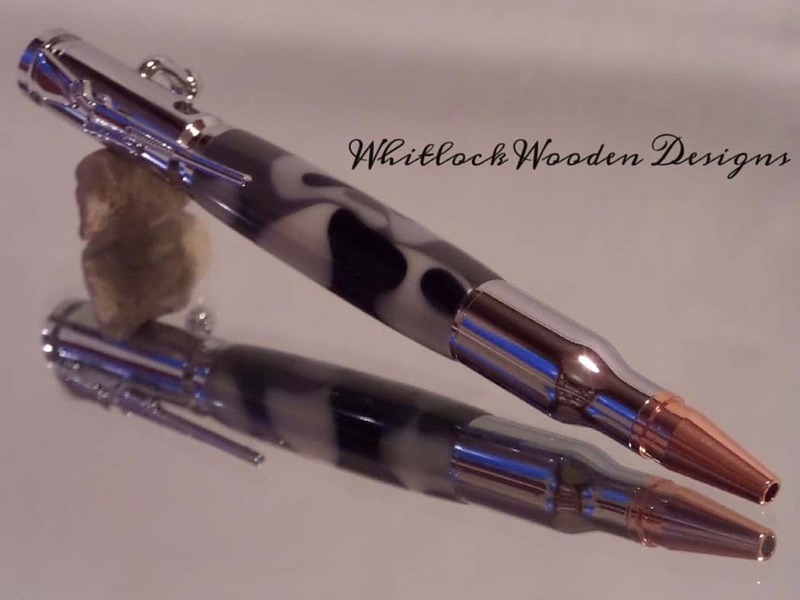 On the top of this camouflage pen, a scoped rifle for the pen clip and a copper insert to mimic the percussion cap. Mounting the acrylic resin on the lathe and hand turned to round and shape. 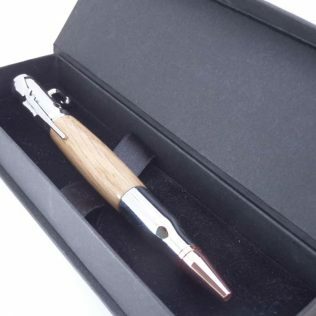 Once shaped it needs sanding and polishing through to 12000 grit for a super hard and durable high gloss finish. 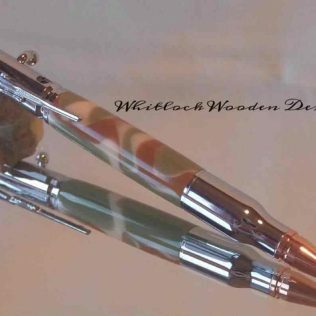 This bolt action ballpoint pen will make unique handmade gifts for men or women who love hunting, fishing, shooting. 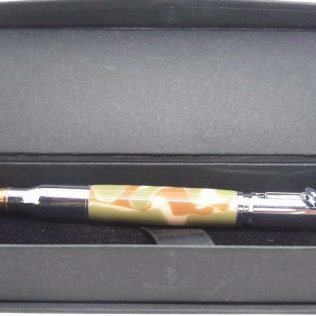 This camouflage pen uses a Parker style G2 medium ballpoint black refill available from any good stationery suppliers. 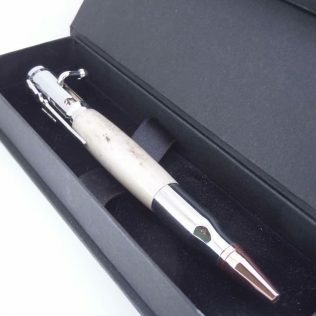 All my novelty pens come in a presentation box as standard. 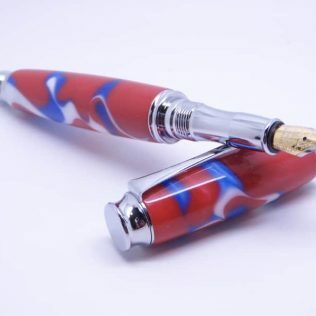 As every piece of resin is different in pattern and colour these pens will make great gift ideas and unique handmade gifts for him on Father’s Day or Birthday gifts.